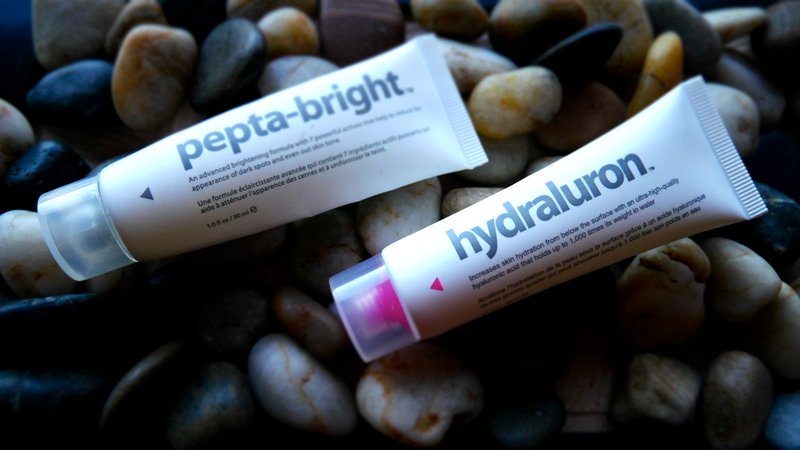 Indeed Labs – Hydraluron & Peptabright…Indeed Splendid! Today I’ll be talking about Indeed Lab’s fab creation called Hydraluron & Peptabright. I absolutely love this product and once again thanks to Mrs. Hirons I’ve been through countless tubes of this goodness. It’s a clear gel with no offensive smell or anything offensive about it, whack it on straight after toning in morning followed by moisturizer and sunscreen. It keeps my skin hydrated for most part of day. Hydraluron has opened my eyes to the concept of dehydration suffered by all skin types (dry, oily, normal, combination). Yes I bravely and openly admit my ignorance about dehydration concept until last 4-5 years ago. Now dear where have you been? Or have I been living under a rock. The latter seems more of a possibility. Anyway, the website claims the product can even skin tone, reduce and lighten hyperpigmentation, prevent, treat and diminish dark spots, restore luminosity and radiance to the skin, prevent the formation of future dark spots and fight against photo-aging, Stimulate cell turnover and Maintain skin’s hydration. Unfortunately I don’t use this product every night, but whenever I do my skin always looks brighter and radiant next morning. Because I haven’t used it consistently, can’t say for sure if it has helped me with dark spots or pigmentation but certainly boosts radiance to my skin. Defo repurchase! PeptaBright – $22.49 (on sale) I’m very eager to try Eyesilix Eye Cream and Retinol Reface Retinol Reface, anyone tried them, share your thoughts in comments below. Availability in USA – I’ve seen Indeed Labs products bring stocked up at Walgreens which makes me very happy. Well done Walgreens.